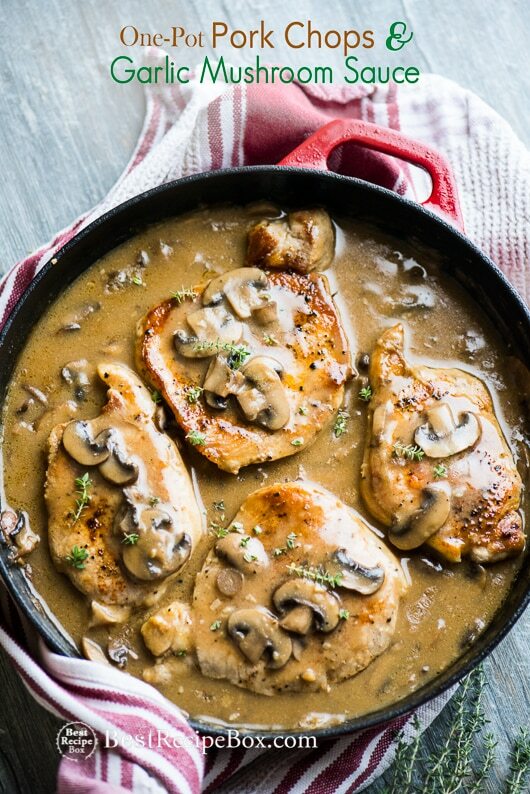 These skillet pork chops in garlic mushroom sauce are super delicious. Kids LOVE this one pot pork chops recipe. Here’s our complete list of all our popular–> pork recipes. We love drowning our crispy pan seared pork chops in sauce, all type of sauce and any sauce or gravy that’s loaded with flavor. 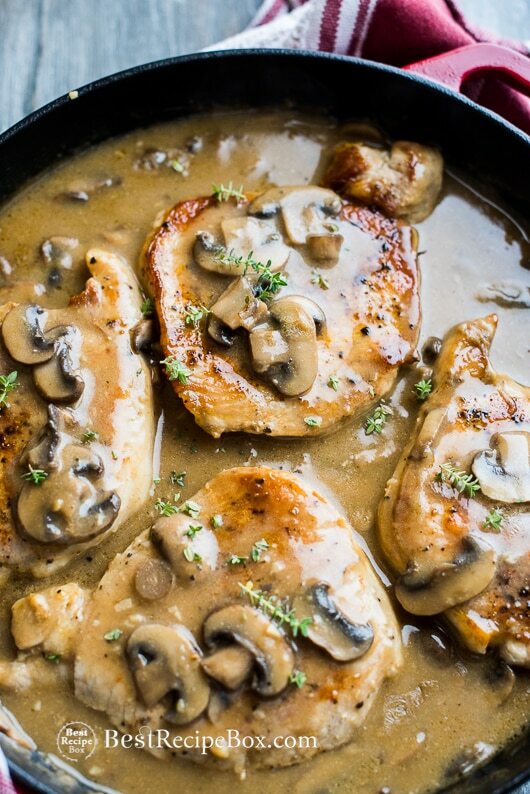 That’s why our test kitchen loves these pork chops in garlic mushroom sauce. Previously, we shared an excellent milk braised pork chop with mustard sauce and it was a hit. Today, it’s all about our one pork pork chops in creamy garlic mushroom sauce. 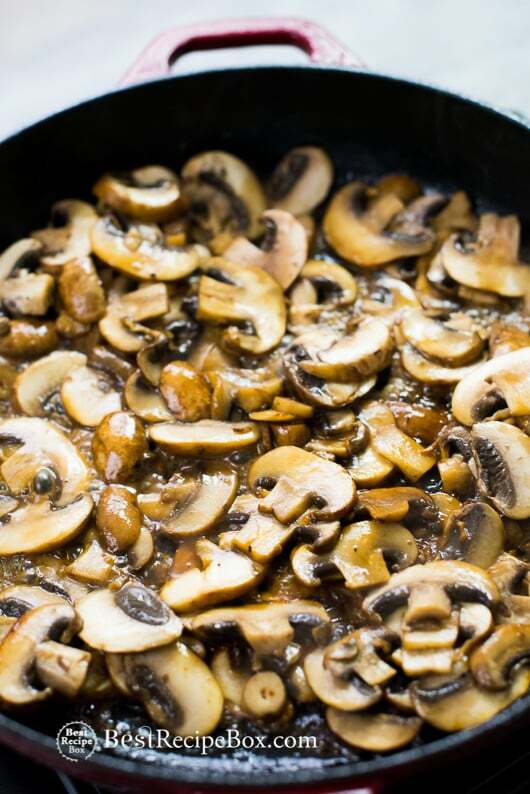 It started with another batch of our easy mushroom gravy and then we started to go crazy. We doused this creamy garlic mushroom sauce on chicken and then decided we were craving pork. 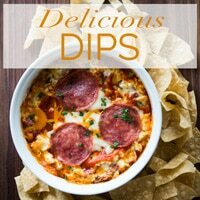 So again, it was another recipe creation that everyone adored in the test kitchen. We even invited some friends to come over and taste test these pork chops and it was a total hit. We love this version of the sauce with the pork because we added mustard to it. That’s the secret ingredient! The combination of mustard and earthy mushrooms in this rich sauce is a great balance. The mustard adds a nice tang to break up the richness a bit, yet this sauce is loaded with mushroom flavor and texture. 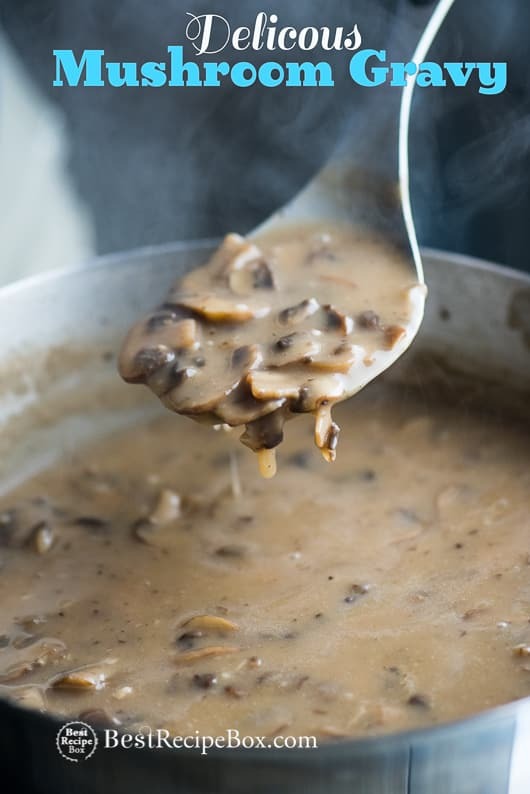 Sure you can call it a garlic mushroom sauce or a garlic mushroom gravy recipe. It really doesn’t matter because you can control how thick you want your sauce to be. 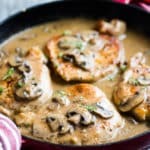 Add a touch more flour for a thicker consistency and you’ll have an outstanding mushroom sauce to bathe your pork chops in. 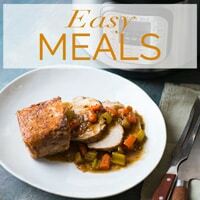 It’s definitely a favorite and easy pork chop recipe for those days that you don’t have time to prep a ton of ingredients but still want a great home cooked meal of the family. Enjoy! 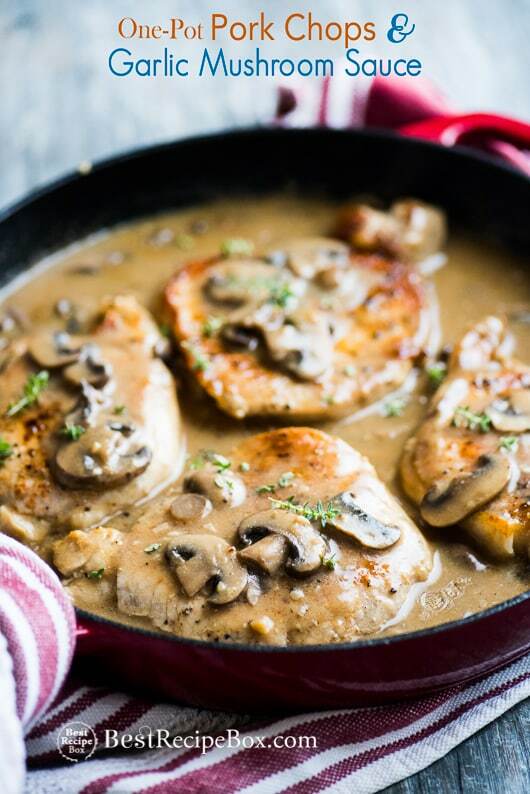 Watch the Video : Skillet Pork Chops in Garlic Mushroom Sauce! 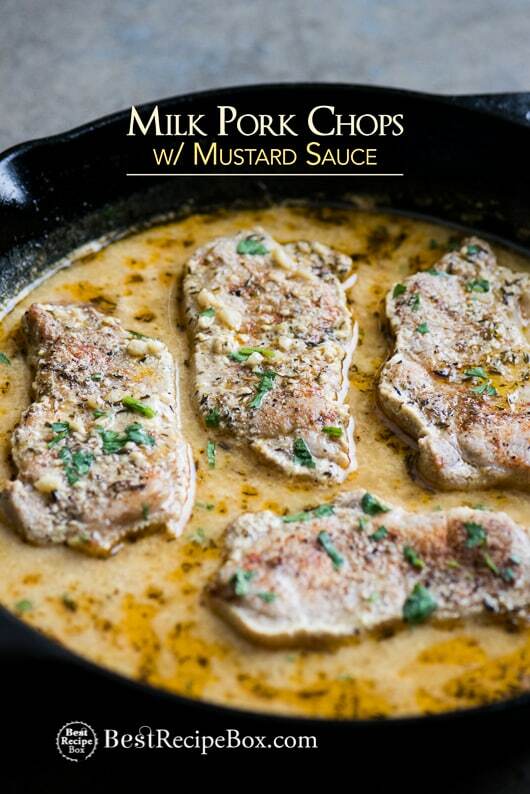 Click Here for —> Juicy Milk Braised Pork Chops with Mustard Sauce! YUM. You can use bone-in or boneless pork chops. Make sure to adjust cooking times based on the thickness of your pork chops. Bone-in will also take a bit longer to cook. See post above for video on making the pork chops with a mushroom sauce. Season both sides of pork chops with ground paprika, salt and pepper. 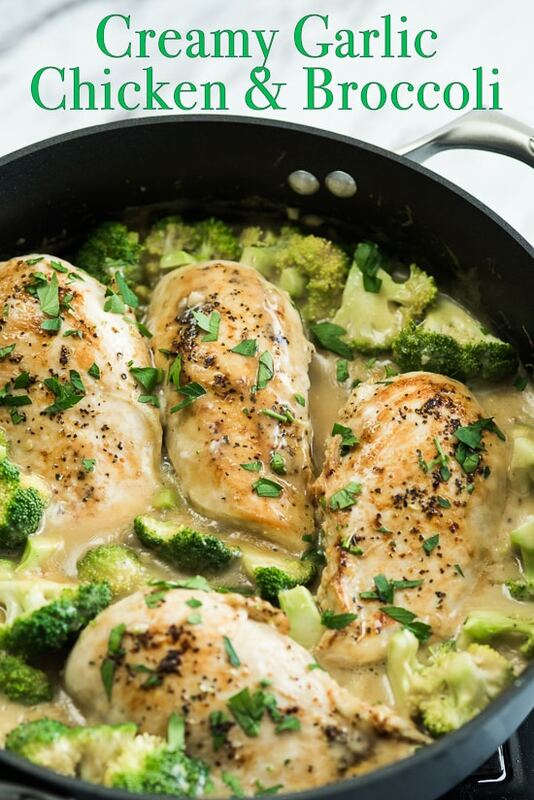 Heat large oven-proof skillet on medium-high heat and then add 2 tablespoons of butter or olive oil. Sear both sides of the pork chops until golden brown and cooked through, about 2-4 minutes per side. Remove pork chops from pan and set aside. In same skillet over medium-high add remaining butter or olive oil. Add mushrooms and cook until golden and excess mushroom liquid evaporates, about 5 minutes. Add garlic and mustard and cook for about 1 minute until garlic becomes fragrant. Stir in the flour, cooking and stirring to remove lumps. Slowly add the broth, whisking until incorporated. Season with salt and pepper, to taste (the saltiness and flavors will concentrate some when it reduces down). Reduce heat to medium, stirring often, simmer until thickened. Check for seasoning and salt again if needed. 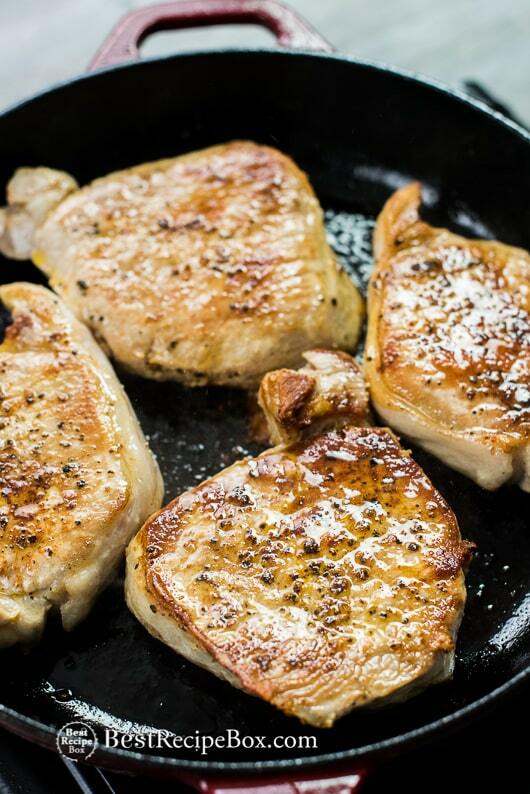 Return pork chops to pan and cook for about 1 minute or until they are fully heated. Serve hot. Garnish if desired. I can’t believe this was so easy and perfect! I’m NOT the best cook and took my time, followed your directions. The sauce was great. Kind of threw me off with the whole oven proof skillet thing. I panicked when I couldn’t figure out when to put it in the oven. But turned out great. I just put this dish together. It was easy and it smells very good. Very tasty, my husband liked it and asked me to make it again. I used Dijon and thyme to season it. 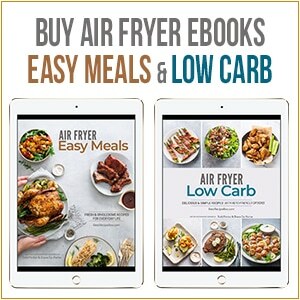 I think it would be very easy to adjust the recipe to your liking. 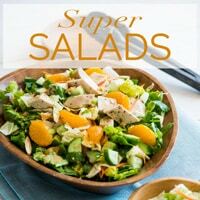 Carol, Thank you to you and your husband for enjoying the recipe! 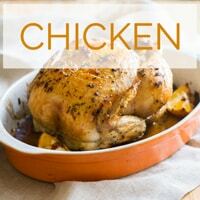 I made this recipe this evening and replaced regular flour for almond flour. The sauce was smooth and cooked up very well. Added the chops’s and let them simmer in the sauce for 7 minutes, spooning the mushrooms and sauce over the chops. They turned out to be very moist and delicious! I will prepare this recipe again! 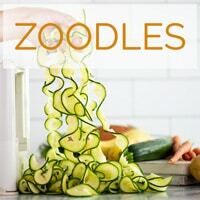 very easy to make. This was delicious! Added some baby peppers and green onion I had on hand and had to use up. Also added a tbsp. of Worchestire, my fave. 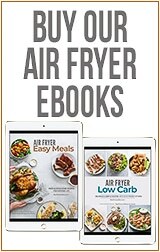 Thx for a great recipe! Love the addition of Worchestershire! Thanks for sharing and so happy you enjoyed the recipe! Awesome! Glad you enjoyed the recipe!